Note: For my purposes here heritage trolley includes existing vintage lines/vehicles, new lines using old vehicles, and new lines using reproduction vehicles. I was unable to ride Dallas’ heritage trolley because their vehicles don’t have wheelchair lifts. Some on the list above were ridden prior to my February 2008 stroke. I want to return to Cincinnati to ride their modern streetcar that was nearly complete when I visited in 2015. see Cincinnati’s Modern Streetcar. The Oklahoma City Streetcar, a modern 4.6 mile line, is scheduled to begin service next month — a good excuse to visit to the city where I spent my first 23 years. OK, I like rail projects. That said, I’m fully aware of differences among the types and how well they’re implemented, or not. When I was visiting Cincinnati the track was complete and testing was just started. They had a big PR campaign about how to park cars so the streetcar could pass. Restaurants/bars along the route had drink coasters with streetcar info. Kansas City also did a great job with communications before, during, and after testing. 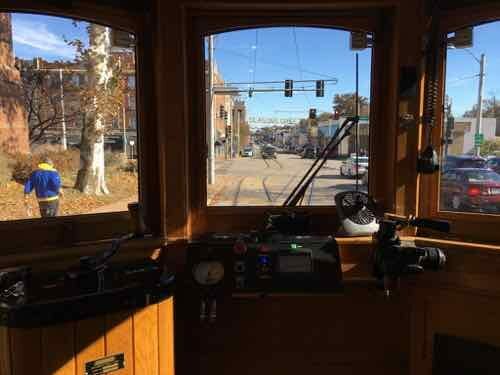 Communications from the Loop Trolley has been…lacking, by comparison. The OKC Streetcar is another to compare to the Loop Trolley. It’s more than twice as long with ground-breaking in February 2017 — and it’s beginning service next month! 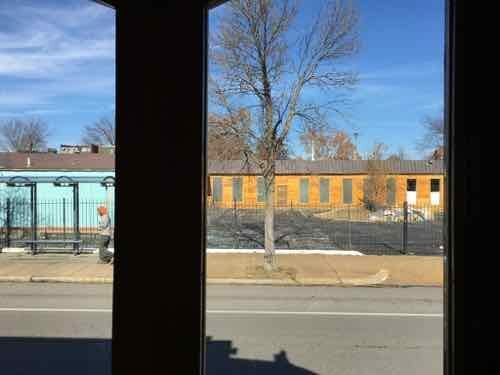 Construction on the Loop Trolley began in March 2015 and just recently opened. Half the distance of OKC and twice as long from start to open….embarrassing! Early on I was excited by the Loop Trolley because a consultant was working to make the line adaptable to modern streetcar vehicles for the future — this would’ve allowed expansion Eastbound on Delmar toward CWE/Midtown/Downtown. But that future-proofing got scrapped. There’s been no shortage of criticism of the Loop Trolley: buses are cheaper, too expensive to build & maintain, Loop already served by light rail, limited service hours, too slow, etc. While all are valid, they miss the point: development. The Loop Trolley distinguishes The Loop from other shopping/restaurant/entertainment destinations in our region. In the next decade we’ll see gaps filled in with new high-density development. Some existing low-rise buildings will be razed for new development. Two of the four corners at Delmar & Skinker are now vacant. These will get developed regardless. Without the Trolley the prospect of this former car wash at Delmar & Goodfellow getting developed was slim. Along the route we’ll see an increasing presence of bigger retailers. 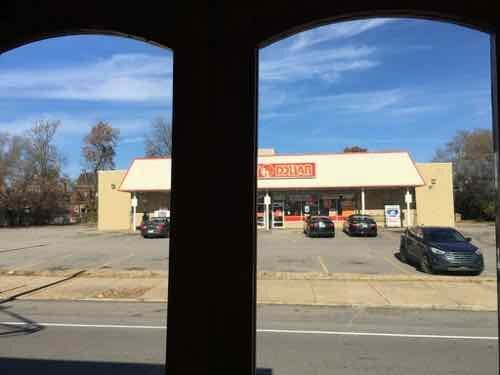 With the bulk of the route located in the City of St. Louis it’ll help generate new sales/property taxes, the new businesses will provide needed employment. Hopefully some young residents will be able to start their own businesses along the route. Ideally, some affordable housing will get built in addition to apartments geared toward wealthy Washington University students. 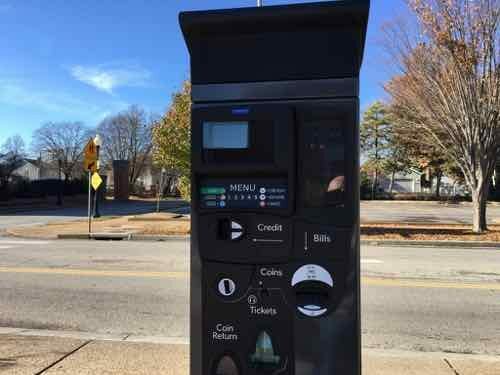 A visitor staying downtown who wants to eat fondue isn’t going to take MetroLink to Delmar and then walk nearly a mile to the West end of the Loop, but they might include a Trolley ride there. After dinner they might decide to walk at least part of the way back to the Delmar MetroLink station. The Trolley helps with the last mile problem. 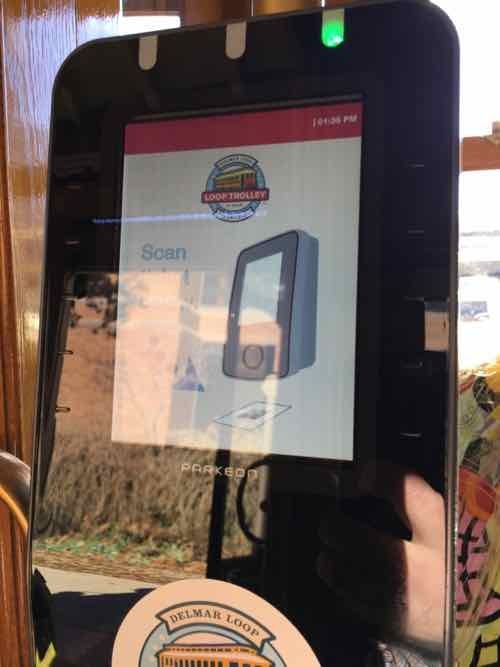 Because I rode on a free special event day (Small Business Saturday) I didn’t experience buying a ticket and validating it inside the trolley car. I tried to find & download the app to buy a ticket that way. After searching, then asking, I learned the apps have been submitted to Google & Apple, but they’re not yet approved. I plan to ride again on a normal day so I’ll be able to test ticket sales/validation. I’ll also be able to see how it goes with the wheelchair lift on a day when it isn’t standing room only. A ticket machine is at each station. 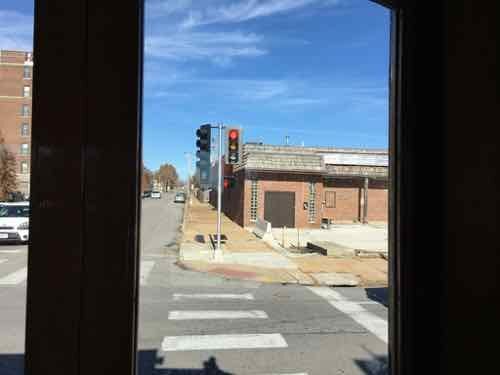 Q: Agree or disagree: Now that the Loop Trolley is operating on the full 2.2 mile route I feel more positive about it. 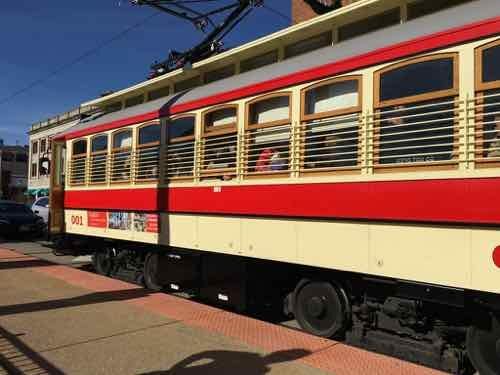 Despite the endless number of hiccups I still believe, as I did in March 2017, the Loop Trolley Will Surprise Naysayers. 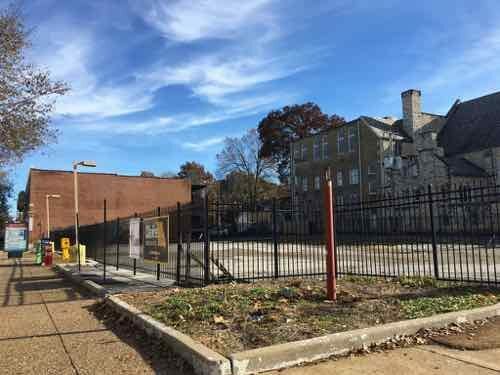 Of course, many will cling to their first impressions and talk bad about the Trolley even if it succeeds in filling in vacant lots along the route. I may have to eat my words…but it will be many years before we’ll know.